Bulgaria is a country with a fascinating history and culture. In addition, it’s language sports an interesting past. Today, we will be taking a look at the history and dialects of Bulgarian, a Slavic language with a surprising origin. Bulgarian is the official language of the country the Republic of Bulgaria. The language is associated with the Slavic languages. Bulgaria is located in south east Europe, between Greece, Romania, and the Black Sea. Being a Slavic language, it shares many similarities to other languages in the area, including Czech, Polish, and Russian. Of all the Slavic languages, Bulgarian is widely considered the first to be written. It is believed to have been started in the 9th century by the brothers of Saint Methodius, an organisation of monks and philosophers in the city of Thessaloniki in what is now Greece. As a result of its origin point, there is a great deal of contention as to whether this is true. Bulgarian pride has led to Bulgarians believing that the origin of their language is within their own borders and not the product of another country. The love of Bulgarian can be seen in its country, where there is a national holiday celebrating its language. 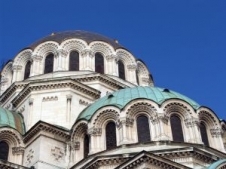 Historians studying the language have broken it down into three distinct periods, known as the old Bulgarian, the Middle Bulgarian, and the Modern Bulgarian. In addition, it is believed that Bulgarian is the origin for all Slavic languages as well as dialects. Modern American words as well as words from other countries are slowly making their way into every day usage. As of today, there are considered to be roughly 12 million speakers around the world. Around 7.4 million of these speakers live in Bulgaria. The official Bulgarian is written the same across the entire country. As with most languages, spoken Bulgarian has created regional dialects that shift depending on where you are living in the country. The regions are broken into three primary sections. There is the area in the west around the capital of Sofia. The Shopski dialect is named after this region. In the north-east there is the Varneski dialect, named so after Varna, the country’s largest sea port. Finally, there is the dialect known as Plovdivski, which is mainly heard around the city of Plovdiv.